Quality centers on customer satisfaction, and quality initiatives, such as Six Sigma, offer a powerful strategy for improving business processes to serve customer requirements. Quality, however, is more than customer satisfaction; it is conformance between the voice of the customer (VOC) and the voice of the regulator (VOR). The regulatory and legal requirements that support the basis overall quality. If regulatory requirements are not met, the essence of quality suffers, and legal consequences can ensue. Business today are surrounded by the voice of the regulator, and new regulatory requirements continue to be imposed by all levels of government. Consider. In addition to industry and product-specific VOR requirements, business must comply with general legal and regulatory voices such as antitrust, occupational safety and welfare, and employment discrimination. Like VOR that impacts the quality and value of certain products these internal-facing regulatory voices also affect quality and, if overlooked, can present significant concerns for businesses. Age discrimination is a VOR that must be heard in executing a quality program. With the struggling economy, age discrimination claims have been on the rise. In fact, 3M recently settled three age discrimination lawsuits that implicated its Six Sigma deployment. 3M was charged with using age-biased criteria to select employees for black belt and master black belt training during its Six Sigma implementation. Further, 3M’s policies and practices concerning promotion and compensation were said to have an adverse impact on older workers as they tied to the Six Sigma infrastructure. A number of VOR lessons can be drawn from the claims of ageism against 3M and its Six Sigma training. But business can follow a structured program to overcome concerns and reduce the risk of age discrimination when deploying and managing a process improvement strategy or Six Sigma tactics. However, Six Sigma is not a leadership strategy at a macro level, it is cultural mission of imbedding a sense of operational excellence into an organization. Operational excellence is the strategic and tactical response to the voice of the customer in fulfilling expectation of high quality and the need for continuous improvement to remain competitive and responsive in an everchanging market. 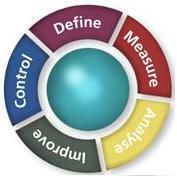 Six Sigma is the tactical engine that supports the strategy and drives overall incremental culture change. Advancing Six Sigma as a leadership strategy implies an internally focused strategy, which is contrary to the true essence of Six Sigma. A successful Six Sigma deployment must focus on the customer as well as the regulators and conform to both requirements. Quality cannot be defined by internal elements such as leadership or training. Leadership tone and action should instill a sense of inclusiveness. Furthermore, setting the right tone at the top is critical for a successful operational excellence strategy and Six Sigma deployment. Company culture must shift to embrace tenants of the initiative, and leadership is the primary influencer. In addition to shifting the culture of the business outward toward the customer, the VOR must be regarded. The spirit and success of a Six Sigma deployment or operational excellence initiative cannot be devoid of regulators and their requirements. The science of Six Sigma deploys a data-driven, fact based approach to problem solving and decision making, driving an organization to be more objective. With an objective methodology for choosing employees to participate in Six Sigma training, the VOR is fulfilled and the concern over illegal discrimination is overcome. A summary of the overall opportunity and what is expected of employees, including a reporting and management structure, high level goals of the role and overall responsibilities. A list of the essential functions for the role and what must be accomplished, specifying the training commitment, the number of projects the black belt or master black belt must complete or the cost savings the projects must achieve. The position requirements detailing the education, certification, skills and experience necessary to do the job. 2. Post the position using the posting process that would be in place for any new position or employment opportunity. Interested employees should review the posting and formally express interest in the program. 3. Conduct interviews with interested candidates focusing on skills and experiences that match those of the position requirements. Interview questions should focus on specific past experiences and related job responsibilities that help the hiring manager determine the match between the employee’s skills and abilities and the black belt or master black belt role. 4. Select and offer the position to those candidates with the skills and experience that best match those that are defined by the position description. 5. Develop a communication package so that communication package so that communication to potential black belts and master black belts is consistent and standardized. All candidates should hear the same message regarding the role, responsibilities and expectations. Putting a fact-based and objective selection process into practice will imbue confidence that the decisions conform to VOR requirements and are not made on the basis of age discrimination. One of the most productive methods is to imbed the role of a black belt into an actual function. Rather than extracting extracting someone from an existing role and making her a full-time black belt or master black belt for a two-year commitment, these skills and project assignments can be blended into almost any existing role within a functional area. This approach reduces the “white horse” syndrome, where black belts are considered outsiders swooping into an organization, directing projects and making changes only to leave and go on to the next project. Imbedding the Six Sigma in the organization also allows the business to adopt and promote the culture change from within instead of using out side “hired guns.” Managers can identify their high priority opportunities and direct the effort of their trained black belts without fearing that competition from other areas will leave the greater needs waiting for a black belt to become available for their project. 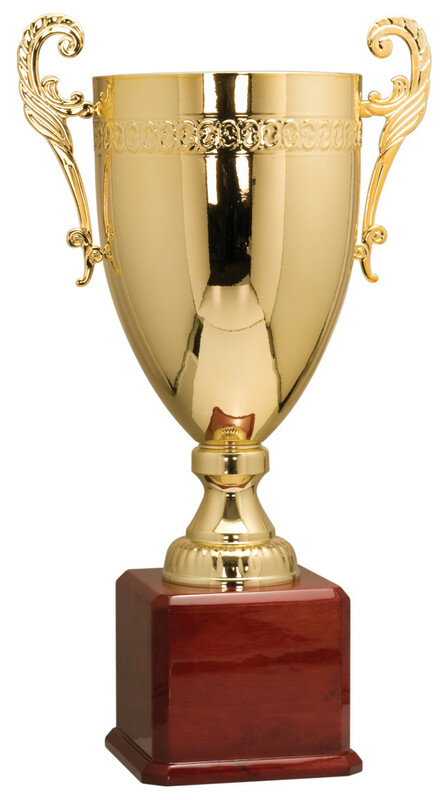 A certificate to achievement or accomplishment for completing and implementing a project. A catered breakfast or luncheon, on the clock, attended by executive leadership, congratulating the team on its accomplishments. Upon completion of a project, allowing the team to select from variety of gifts such as T-shirts, coffee mugs, water bottles, pen sets or other nominal gift offerings. A thank you letter from the executive of the department showing appreciation for the team’s efforts and celebrating the success of the project. Featuring the project and the project team in department meeting where managers explain what the team accomplished to the overall functional area. 3M’s settlement of age discrimination lawsuits serves as a reminder that quality extends beyond VOC to include VOR. The voice of the regulator is a key input to a successful Six Sigma and operational excellence deployment. Listening to the of the regulator and applying the lessons learned from 3M will help you avoid even the appearance of illegally biased employment practices in a quality initiative. STAVRUM, P and KURTZ, M. J. (2013,January/February). Voices in the organization's head. Industrial Management.